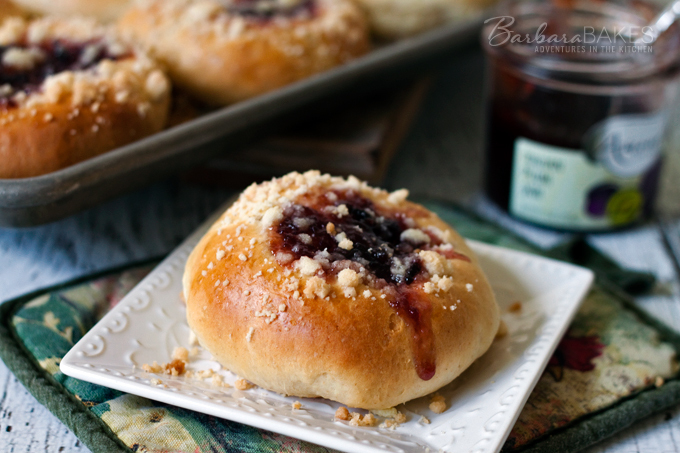 Moravian Kolaches are double filling kolaches – a creamy quark (cheesecake-like) filling hiding on the inside and a sweet plum jam and crunchy streusel on top. 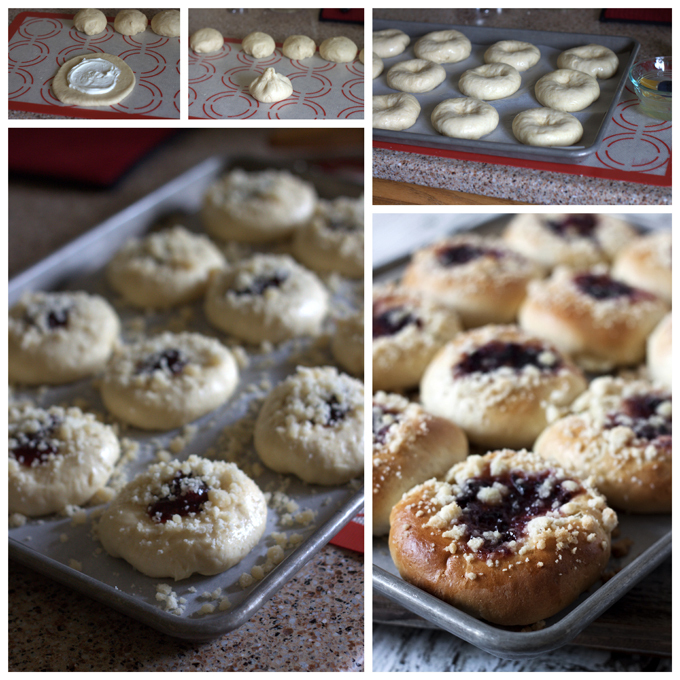 I’ve been making kolaches for my family for Christmas for nearly 20 years, so when I saw that the Daring Baker’s challenge for September was kolaches, I was excited to join in the fun and try Morarivan Kolaches. 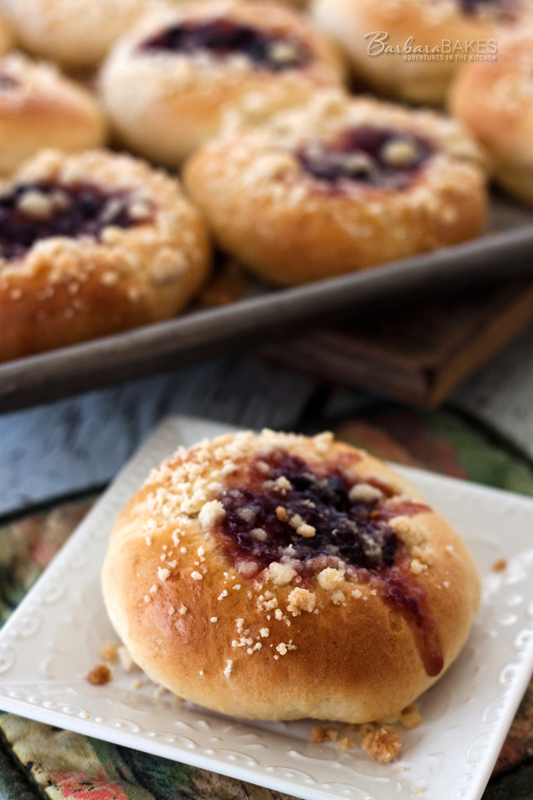 These Moravian Kolaches are pillowy-light and fluffy sweet rolls, but what’s special about this traditional Czech recipe is the double filling. A plum jam on top, and a sweetened quark filling on the inside. Quark is a soft cheese, a little bit like cream cheese. I decided instead of buying quark at the store, which can be hard to find and expensive in my area, I would make my own quark. Making it at home is super easy and inexpensive. The quark recipe I used is on Splendid Table. I used an fabulous Italian Plum Jam from Amour Spreads that I picked up at the Salt Lake Farmers Market. I changed the method of making the dough to take advantage of my stand mixer, and so you don’t add all of the flour at the beginning. I live in a dry climate, and if you add all the flour at the beginning, you’ll end up with a dough that’s too dry. The dough is easy to work with and rises quickly. The rolls don’t need a second rise after shaping, so they’re ready to eat faster than many sweet roll recipes. Some of my rolls cracked on the side, and the filling oozed out a bit, but not enough to be a problem. If you don’t want to buy or make quark, other Daring Bakers substituted cream cheese with good results. The filling makes the inside of the kolaches light and creamy, almost a little bit custardy. 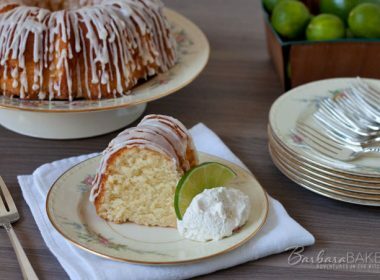 It’s a great combination of textures, in a not-too-sweet sweet roll. In the bowl of a stand mixer, using the paddle attachment, combine 1 1/2 cups flour, whole wheat pastry flour, powdered sugar, yeast, and salt. In a saucepan or microwave safe dish, heat milk and butter until warm (120°–130°F). Add to flour mixture. Blend at low speed until moistened. Mix in egg yolks. Beat 2 minutes at medium speed. Switch to the dough hook, on low speed gradually add the remaining flour (add more or less as necessary) until dough clings to the hook and cleans the sides, but not the bottom. Knead 8 minutes, until smooth but still slightly sticky. Shape into a ball. Place in greased bowl, turn. Cover, let rise until double about 60 minutes. Prepare quark filling: Mix together quark, egg yolk and powdered sugar. If necessary, thin plum jam. Prepare streusel topping: In a medium bowl, mix together flour, sugar, and cinnamon. Mix in melted butter with a fork until crumbs form. Set aside. When the dough is risen, divide the dough into 12 equal pieces. Shape each piece in to a ball. Roll each ball into a circle. 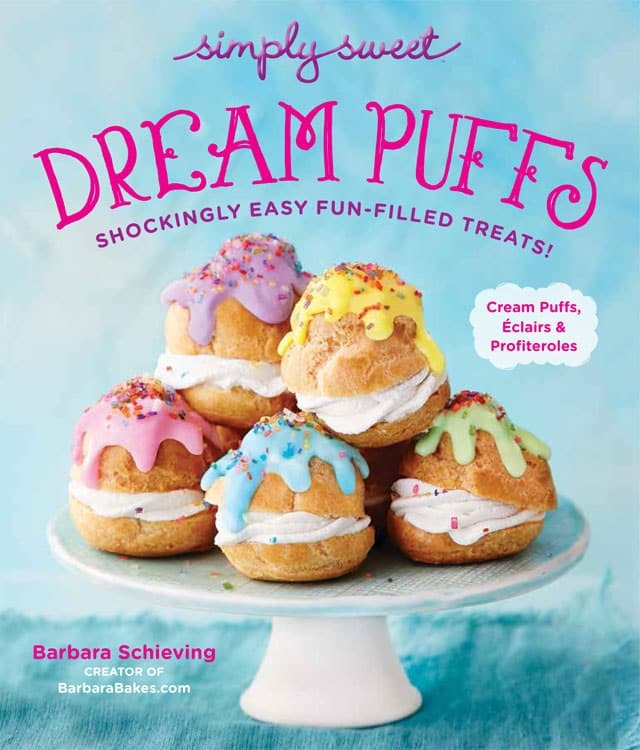 Fill each circle with quark filling. Wrap it into a “purse” shape. Line a baking sheet with parchment paper. 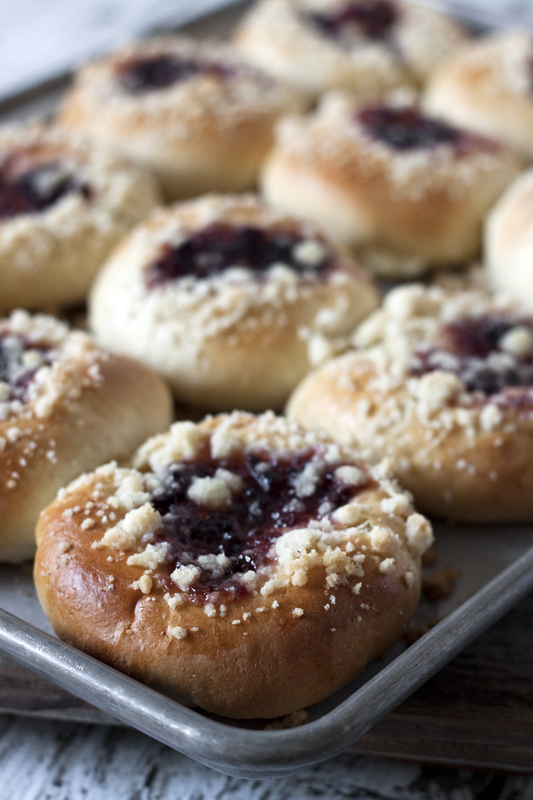 Put each kolach onto a prepared baking sheet with seam down. Press each kolach in the middle. Brush it with egg wash and fill holes with plum filling. Sprinkle it with streusel topping. Bake for about 20 minutes until golden brown. Thanks Lucie for a delicious challenge. How much of the quark filling goes in each bun? Hi Sherri – if you look at the picture collage you can see how it should look – about 2 tablespoons. 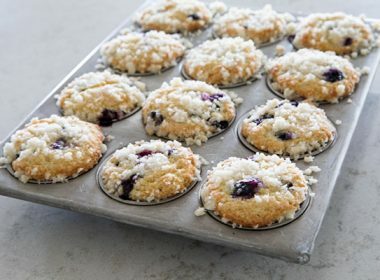 These look simply delicious! How long do you think these could keep? I would like to bake some as Christmas gifts, but the idea of baking all night before Christmas seems exhausting. Thanks Thuy! 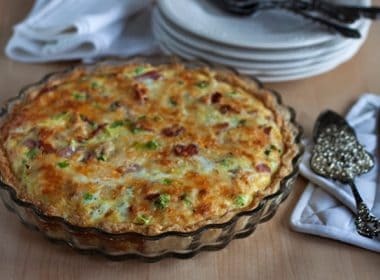 They freeze very well if you have the freezer space, just make them a week or two ahead of time and thaw them overnight. 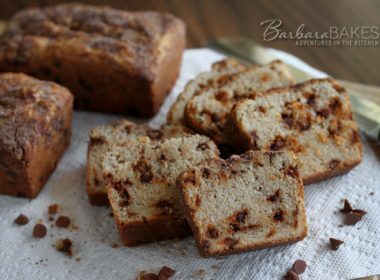 what a great recipe Barbara!! I just made ricotta cheese for the first time, but I’ll have to try quark sometime! And have you ever read about the Moravians – they are fascinating to learn about. We’ll have to go out for a treat soon and I’ll tell you all about your pastry’s namesake 🙂 Miss you! Quark is a soft cheese, a little bit like cream cheese. 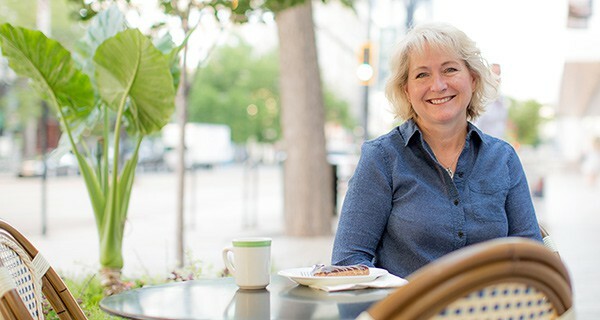 Thank you Barbara for baked with me last month. I admire that you made your own quark – I’ve never tried it. It so cheap in Czech Republic so I always buy it. Thank you Barbara. Going to make these today. But you can’t really fig jam in my area. So I’m going to use a different flavor. Hope they look as good as yours. Hi Barbara. For the filling, I’m a bit confused. Do you put the cream in the center, and the close like a roll? I see you spread it out. How do you close it then? Hi Jaonne – you just gather the edges up like a little pouch enclosing the filling, then pinch the edges together. These are so beautiful, Barbara. 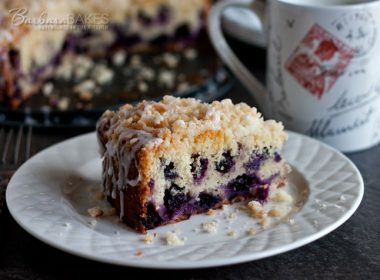 Lovely photos and recipe! These look gorgeous! I can’t wait to try them! Your Kolaches look yum. Great that you made the quark at home. It is on my to-do list. How beautiful, Barbara! Kolaches are one of the few cookies I’ve never made so I’m saving this recipe for my Christmas baking. Thanks so much for sharing.